Southside Residences at Gramercy Park is a two-tower condominium complex on Tippet Road south of Wilson Avenue in North York. The 15 and 17-storey buildings are joined via a U-shaped mid-rise podium. The project is designed by Page + Steele Architects for Malibu Investments. You’re really going to love it here. 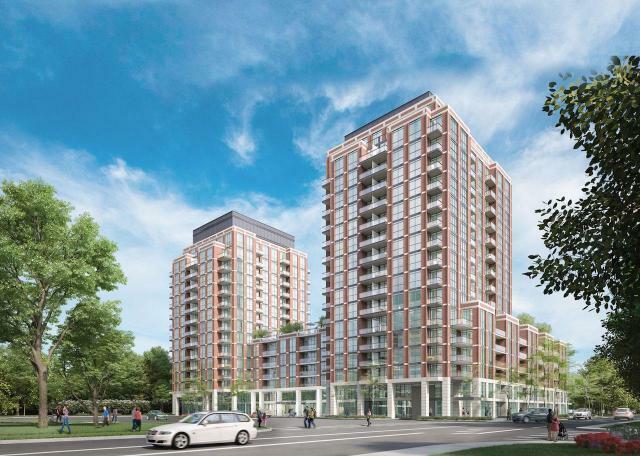 Southside is a vibrant new condominium residence with contemporary architecture and a traditional twist that echoes it’s highly successful neighbour, Gramercy Park. Ideally and conveniently located, you will enjoy having everything at your doorstep when you live at Southside. It’s just steps to the Wilson subway station, with quick access to Allen Road and Highway 401. There are great parks nearby; Downsview Park, Earl Bales Park. Ross Lord Park and numerous smaller parks throughout the neighbourhood. Enjoy the events, attractions, concerts or solitude. There’s an amazing variety of neighbourhood restaurants to choose from; italian, asian, fast food, slow food, fine dining, great coffee and desserts. Cuisine to pamper your every taste and mood. At Southside, you will take pride in a home with great design and high quality features and finishes. Rooms with panoramic views. With its own private courtyard, unique suite designs, carefully composed amenities, like the exquisite rooftop pool, sky garden and convenient services, Southside brings a refreshing new way of life to a great Toronto neighbourhood. What life needs is for you to be close to everything that’s important to you. And that’s perfectly Southside living. Marketing and press: L.A. Inc.